Did Mother’s Day 2018 sneak up on you? 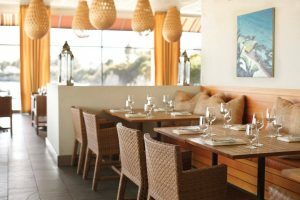 Mother’s Day is Sunday – some restaurants in the Santa Cruz area, including Bargetto Winery, which only has one seating – are fully booked, but others are still available. Below are a few. 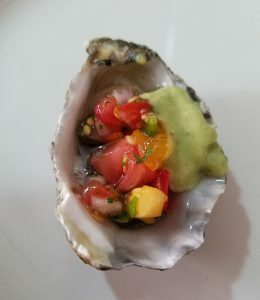 Refer to my May 3 article for a few Santa Cruz County restaurant highlights (plus one for Monterey), but I am not sure which of those still have reservations available. Also, if you want something off the beaten path, Roaring Camp Railroads is hosting a brunch buffet ($39 adults, $29 kids) from 9:30 a.m.-2 p.m. at Bret Harte Hall (last seating at 1). There are train rides to go on after brunch (diners receive $2 fare discount); visit this site. As of 4 p.m. on Thursday, May 10, the following restaurants still had selected Mother’s Day brunch reservations available—these are based on a party of 4. Call or make reservations through OpenTable.com. 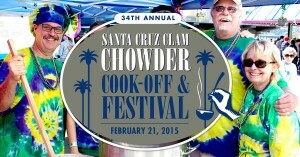 This Saturday is the 34th annual Santa Cruz Clam Chowder Cook-Off and Festival at the Santa Cruz Beach Boardwalk. 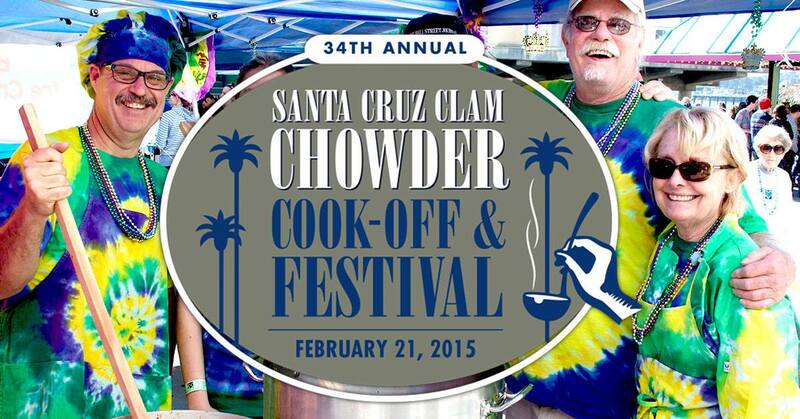 The Feb. 21, 2015 chowder cook-off has free admission. If you want to eat chowder, tasting kits are $9 and include five samples plus a People’s Choice ballot. The cook-off is a fund-raiser for the City of Santa Cruz Parks and Recreation Department. In 2014, the event raised more than $62,000. Approximately 80 individuals and teams are participating, including teams from New Leaf Community Markets, Pleasure Pizza East Side Eatery, Solaire Restaurant & Bar, Seascape Resort, Ideal Bar and Grill, Parish Publick House, and Kauboi Grill and Sushi. Teams can choose to compete in one or both of the Manhattan & Boston categories. They are also in the running for prizes such as “Most Original.” Some participants dress in costumes such as mermaids and scuba divers. On Saturday, the Boardwalk rides will be open from 10 a.m.-6 p.m. If you’re a Santa Cruz Warriors fan, you can enjoy a great promotion at the restaurant Solaire—it even includes a free ride to the game! Solaire Restaurant and Bar is located at Santa Cruz’s Hotel Paradox. 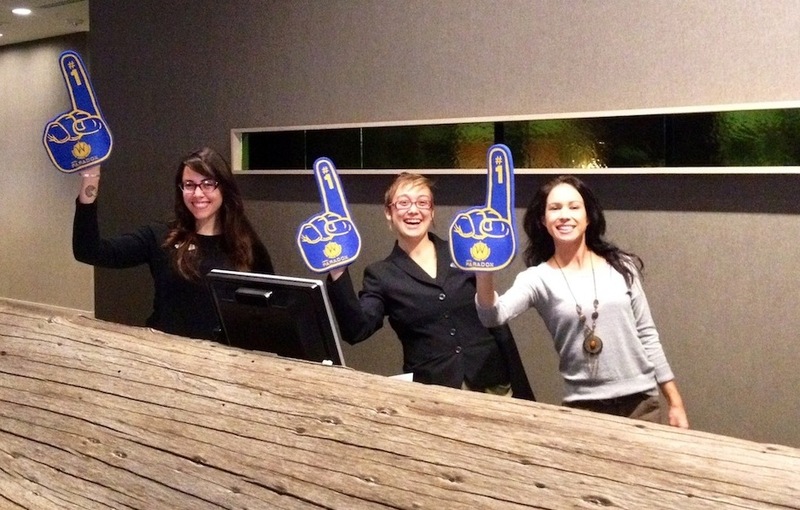 Here’s the deal: for all of basketball team Santa Cruz Warriors’ home games, the restaurant is offering a $12 special. You get a draft beer, house burger, foam finger, and a free shuttle ride to and from the game. The burgers and produce Solaire uses are all free range, organic and ground in-house. The shuttle leaves the Paradox 30 minutes prior to game time every home game. Anyone who dines in Solaire before the game is welcome to the shuttle (you don’t have to order the burger/beer special). The shuttle drops off right in front of the stadium, and will pick up passengers and deliver them right back to the Paradox. Also, Solaire stays open later on game nights for any fans that want to have food and/or drinks after the game. Many restaurants, professional chefs, and amateur chefs are participating in the fourth annual Chili Cook-Off at the Santa Cruz Boardwalk on Saturday, Oct. 26, 2013. There is free admission. To sample chili, attendees purchase $9 “tasting kits” (includes 5 taste tickets, spoon, cup, and People’s Choice voting ballot). A portion of sales will benefit Jacob’s Heart Children’s Cancer Support Services. Competing restaurants include Aquarius, Café Ella, Café Sparrow, Mackenzie Bar & Grill, Parish Publick House, Seabright Brewery, and Solaire Restaurant & Bar. Awards (including plaques and cash) will be given to best Chili in each category, People’s Choice, Most Tasted, and Most Original Booth. 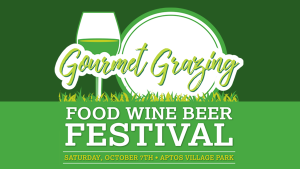 Last year’s winners included chefs from Santa Cruz Mountain Brewing (Emily Thomas won Best Professional Vegetarian) and Parish Publick House (Zach Willis won Best Professional Red).